Prime minister Manmohan Singh’s diagnosis of, and remedy for, the economic slowdown isn’t too off-the-mark. “I think we are in a typical Keynesian situation where there is a lack of demand—private sector demand is very weak—but, strong government demand, both for social services and for physical infrastructure, will provide the essential stabilisers that our country needs at a time like this,” he had declared on October 25. Yet, the antidote has few buyers. It’s easy to see why. Even as Singh spoke, Finance Minister P. Chidambaram was preparing to beseech Parliament for funds over and above budgetary allocations to pay salaries and bills. He wanted—and got—additional sums that add up to a third of the total Budget he had piloted through Parliament only in May this year. Government spending has overshot Chidambaram’s estimates mainly on subsidies and rural wage programmes (see Budget Busters). Such largesse to the aam aadmi has dominated the UPA government’s spending agenda since it took office in May 2004. So far this year, the Centre has pumped in more than Rs 1,340,000 crore into rural development (about half of resident Indians’ bank deposits), inflating its fiscal deficit by 26 per cent over its last year’s level. “It can be taken for granted that the fiscal deficit this year will miss the target,” says Suresh Tendulkar, Chairman of the Economic Advisory Council to the Prime Minister. The global economic crisis is the Government’s excuse for overshooting the deficit target. “So what if our deficit settles at 3.2 per cent instead of 3 per cent? If the target is breached by a few decimal points, so be it, because there is a global financial crisis and we are suffering the ripple effects of this crisis,” Chidambaram told the Rajya Sabha on October 29. He employed this year’s Nobel winner for economics, Paul Krugman’s tip, “this is no time to talk about the deficit”, in the Government’s defence, following a scathing attack from former Finance Minister Yashwant Sinha on the demand for supplementary funds. The Finance Minister’s defence will be credible if he can turn the deficit into an antidote for the current economic downturn. Investment, the key driver of economic growth, is slowing down after an average rate of growth of 18 per cent in the past five years due to which the Reserve Bank of India (RBI) has forecast GDP growth at 7.5-8 per cent this year. The volatile cost and non-availability of credit is further slowing down projects. In such a scenario, public expenditure—the one that boosts productive spending—will pump prime the economy. Six major heads of government spending and their likely impact. Government spending can help or hurt private investment. The best kind of government spending is one that aids both asset creation and income generation. Such spending, even if financed by higher than targeted deficit, encourages (crowds in) private investment. However, a deficit, especially that does not lead to asset creation, can also hamper (crowd out) private investment and therefore stoke inflation. Only government expenditures designed to boost productive investments to offset the slowdown will pump prime the economy and exonerate finance ministers around the globe for rising fiscal deficits. It’s not that there are no large dollops of public expenditure taking place. The Rs 1,275,000-crore National Rural Employment Guarantee Scheme (NREGS), the Rs 25,000 crore on the farm loan waiver scheme and the Rs 25,000-crore largesse announced by the Sixth Pay Commission (SPC) for central government employees will all put significant sums of money into rural and urban consumer wallets. But all these spending programmes were well underway before the global financial crisis hit hard. “The spending, ranging from the farm loan waiver to the SPC, and its growth effects were factored in by the government in February, when it presented the Budget… just that the government had not included any of it in its accounting at that time and they were all referred to as ‘below the line’,” says Rohini Malkani, Economist, Citigroup India. Much of the pump priming impact of these programmes has already been absorbed by the economy. And given the rising deficit, the government has little additional money to fund a “New Deal”-kind of project. Of course, government can simply borrow more to fund new programmes, but given the shortage of funds in the financial system, a stepped-up government borrowing will dry up funds (or raise the cost) for private sector—a situation government is trying to avert. It’s not that government spending hasn’t helped create demand. The question is whether the demand creation is adequate and more importantly, if the demand and asset creation is proportional to the money spent on these programmes. The sporadic effects of government-led demand creation are evident. Hyundai, which usually sells 1,000 cars in a month to government employees, sold 3,000 cars to this segment in October. The Centre and state governments are disbursing 40 per cent of the Sixth Pay Commission Award arrears this year, which is beginning to boost white goods and automobile demand— mostly urban consumption. “The SPC should have a larger impact on consumption as most beneficiaries are middle class people,” says Dushyant Singh, Director, Strategic and Commercial Intelligence, KMPG. The effect of this expected increase in consumption will show up in the third quarter of 2008-09. And, even this too, will be counteracted by the demand-dampening impact of the across-the-board wealth erosion, increasing job insecurity and expectation of slower income growth. Besides, the consuming classes can only marginally offset the effects of an economic slowdown. The poor, the largest chunk of the target group for government programmes, spend mostly on food, though they account for the largest number of votes. "Even if the entire Government spend on the flagship poverty alleviation programme, the NREGS, were to be directed into household consumption, it would account for less than 1 per cent of annual rural consumption of goods and services," says Singh. "It would go largely into higher consumption of food, and investment expenditure on building materials." The bulk of the UPA's social spending is via the NREGS, which has derailed the fiscal deficit over unexpectedly high demand for jobs even during the agricultural season. This points to the rampant leakages and mismanagement. While the government's social spree has protected farm incomes, preventing the bloody food riots of the sort seen in several African and Asian countries earlier this year, including Thailand and Egypt, it is also fueling some village consumption. These spends cannot pump prime the economy. Increased spending by the government can stimulate a slowing economy only if the money spent generates incremental demand for goods and services. "The old Keynesian theory of getting people to dig the earth and fill it up again is not sustainable," says Arvind Virmani, Chief Economic Advisor in the Ministry of Finance. "The more the fiscal deficit encourages private investment, or economic growth, the more sustainable it is," he adds (see Interview with Arvind Virmani). Despite the Prime Minister's advocacy of public investment on infrastructure, the Government has spent Rs 3,862 crore on road construction this year from the Rs 7,180 crore it has collected as cess from diesel and petrol. 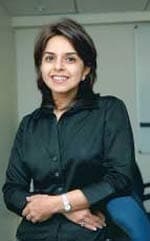 "Unfortunately, the government has frittered away the tax bonanza of the past few years on populist expenditure instead of using it for the removal of critical infrastructure and governance bottlenecks," says Ashima Goyal, Professor of Economics in the Indira Gandhi Institute for Development Research. To be sure the NREGA's expenditure of Rs 2,87,615 crore during April-September 2008 (equivalent to the annual market of the construction industry in India) on construction materials is an exception that is propping up some industries. "The total demand for steel and cement from all sources is growing at a faster rate than that is coming from the private sector with the additional demand coming from the government schemes," says Amir Ullah Khan, Director, India Development Foundation, a Delhi-based economic research foundation. The question then, is, not over funding the pump priming of the economy, which is unconstrained, assures Virmani, but the efficacy of the government machinery. "The worry is the government's record in implementing projects," says Tendulkar. The bloated fiscal deficit so stoutly defended by Chidambaram is, therefore, unlikely to kick start the economy by itself. Aware that the nature of his expenditure programme.no matter the size.won't suffice to revive the economy, the Finance Minister is resorting to other means. Chidambaram's first rescue package for airline companies comprised tax cuts. Then, he has goaded public sector banks to lower interest rates and increase lending to home buyers. Next, he is expected to trim duties for the jobs-and-export oriented textiles industry. These measures, though beneficial, given the situation, do not amount to pump priming. What is needed is a comprehensive booster dose of steroids to resuscitate the economy; what is being offered are incremental shots of pain killers that address only those symptoms that become unbearable. Even as these medicines are being prescribed and purchased, little attempt is being made to ensure that they reach the right patient in the right dose. Doctor Singh's diagnosis is not off the mark, but the delivery is.